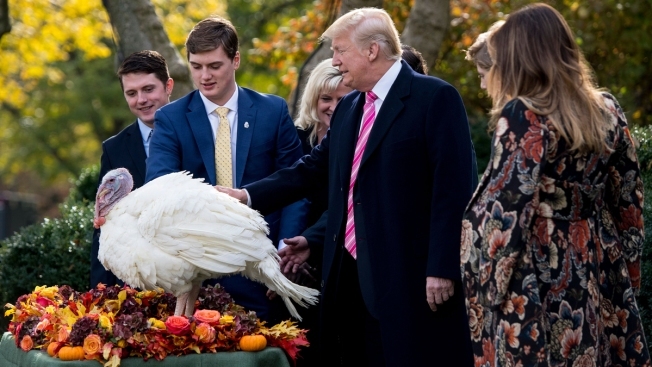 President Donald Trump pardons turkey Drumstick for Thanksgiving in the Rose Garden of the White House on Tuesday, Nov. 21, 2017. 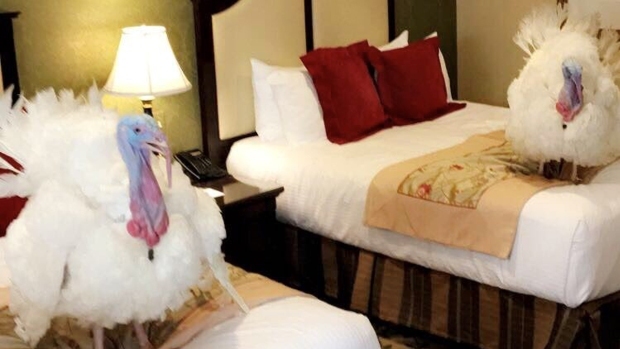 The first family's Thanksgiving spread: it looks a lot like your family's. The spokeswoman for first lady Melania Trump said Thursday that the president and his family will enjoy a traditional Thanksgiving feast complete with turkey at the Mar-a-Lago estate in Palm Beach, Florida. The meal marks a departure from the five-course meal President Donald Trump and family enjoyed last year -- complete with an 18-dish main course and a choice of eight desserts.